When an artist creates something artistic with his skills, this is known as his intellectual property. He may choose to lend or sell this property a party in lieu of some financial benefits. In such a scenario, an intellectual property form is used which elaborates the various clauses that guard the whole transaction. Intellectual property forms are of different types and can vary in accordance with the circumstance under which they are used. 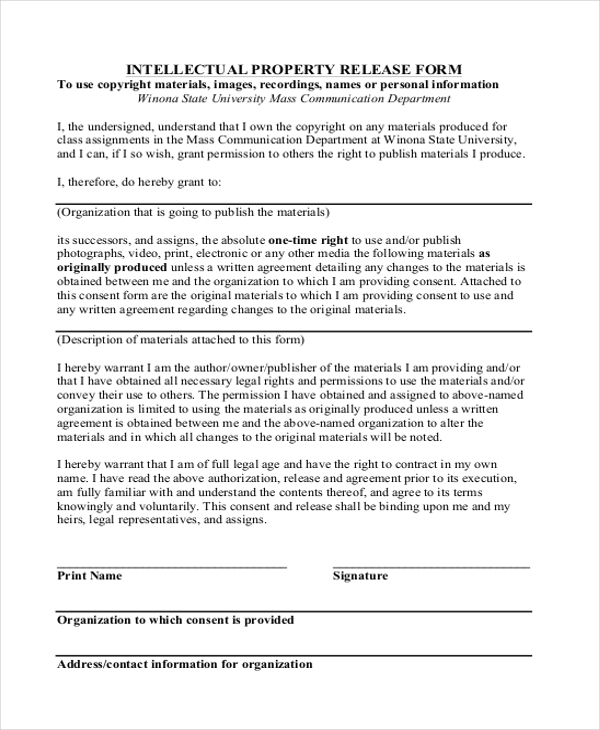 This form is used by an artist when he agrees to sell or lend his intellectual property to another party. This form acts as a legal agreement and comprises of the various regulations that help in guarding the deal. When an artist who holds intellectual property copyright agrees to sell or lend it to a party, this form is used to elaborate on the rights that the artist and the party will have on the property. Signing this ensures that there would be no confusions or hassles in the future. When a party uses an intellectual property of an artist, they are under an obligation to not release this to another person. However, by using this form the party can get permission to release the property under certain circumstances. 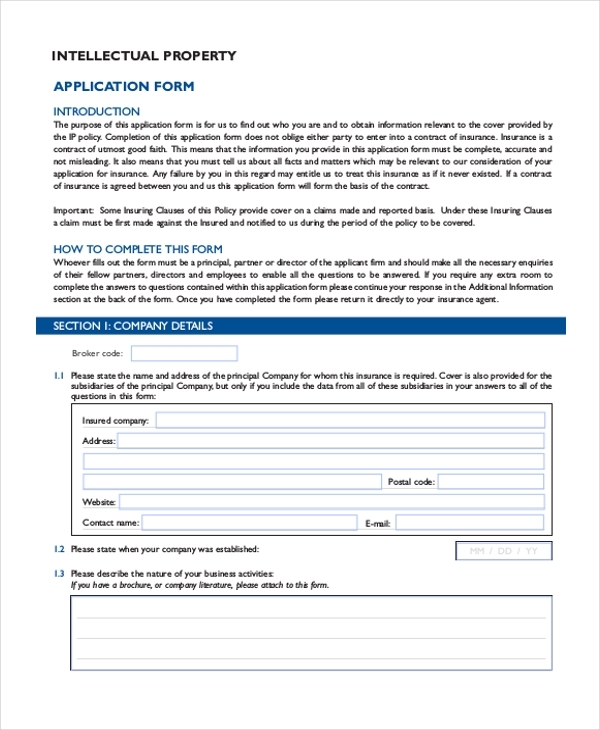 An insurance company uses this form to enable an artist to apply for an insurance coverage for his intellectual property. The person is required to fill in his personal details as well as that of the property in the form. 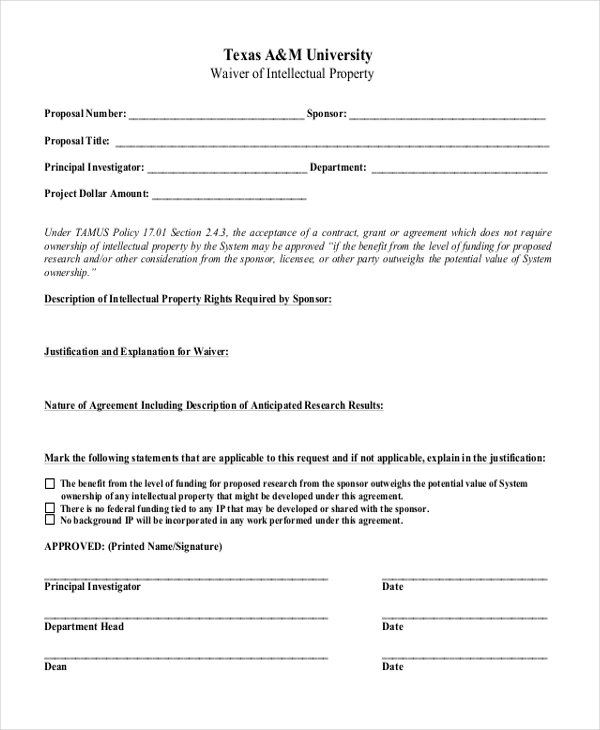 This form is usually used by an educational institution to gain the permission from a student to disclose his intellectual property under certain circumstances. The form elaborates on the circumstances under which the institution can do this. This form is used by a university or a television network to gain permission from a person to telecast or use his or her intellectual property for certain purposes. 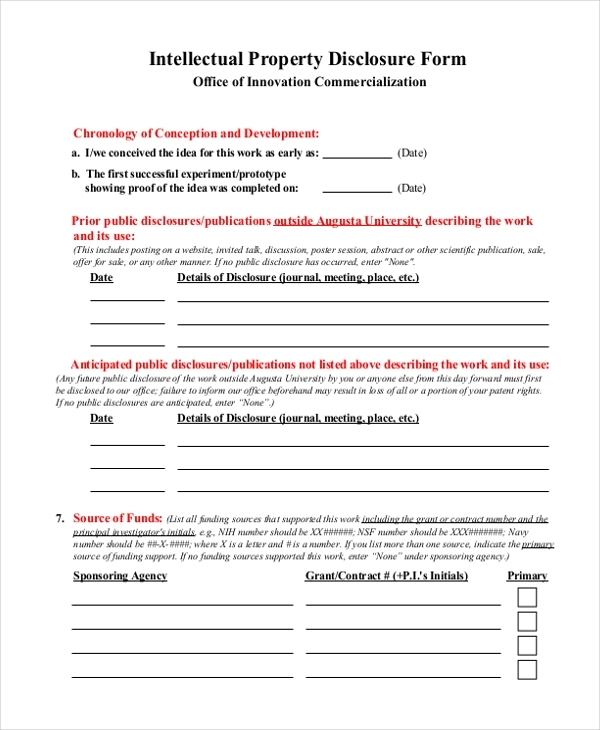 By signing this form the artist consents to this. 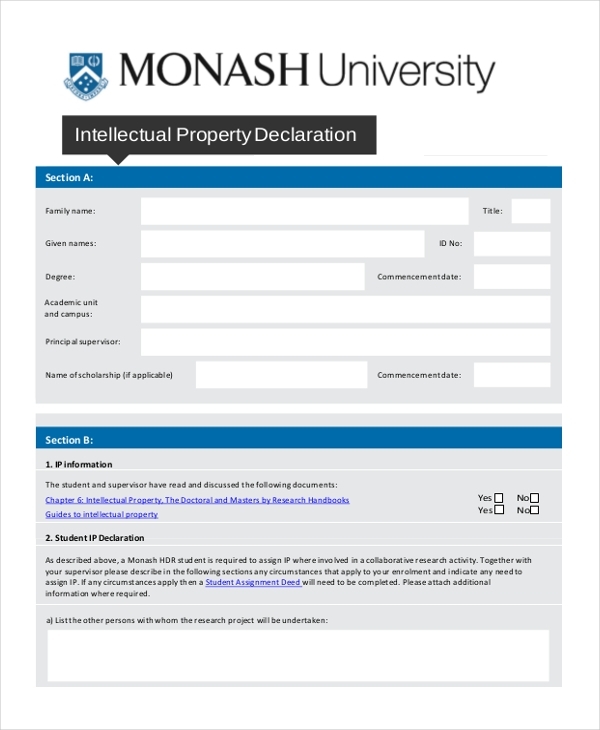 This form is generally used by a university to declare that the intellectual property that a student designs a part of a university project will be their personal property. 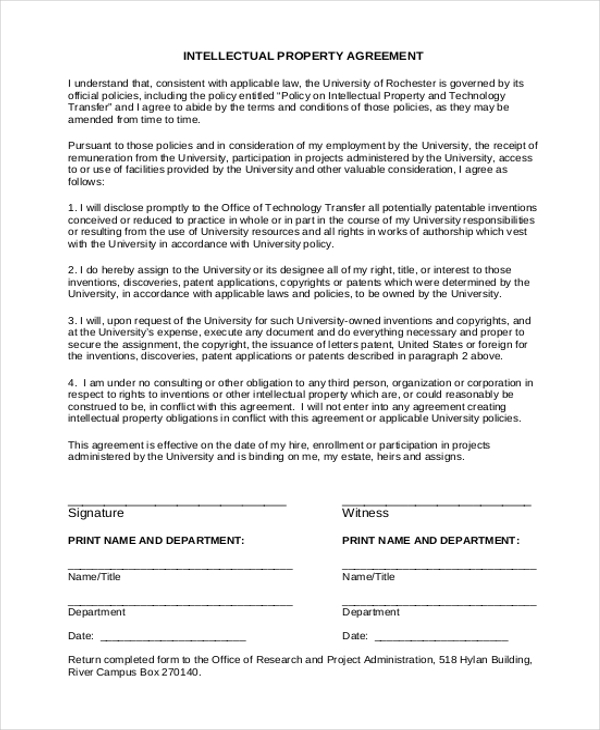 By signing the form, the student agrees to the intellectual property law. When an artist transfers the ownership of an intellectual property to another person, this form is used to complete the formalities of the transaction. The details of the artist and the person to whom the property is being transferred should be filled into the form. As the name indicates, this form is used by an artist to waive off any claims or rights that he may have on the intellectual property. 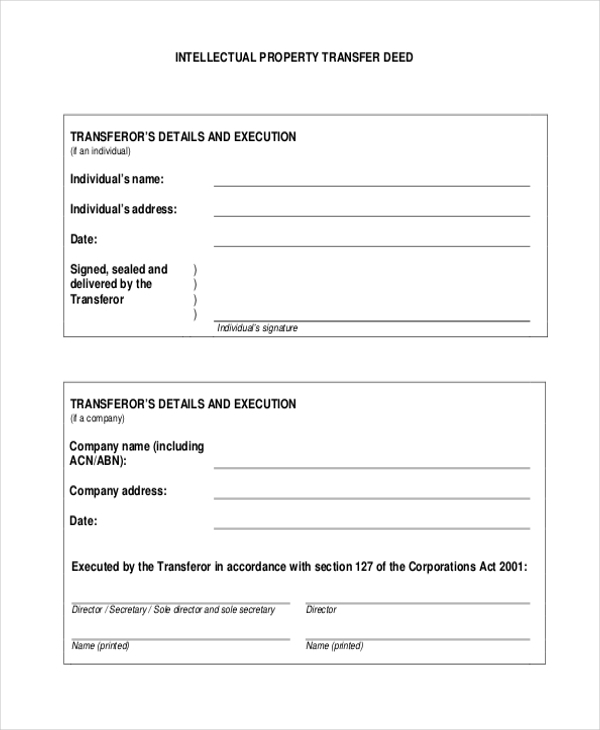 This form is used when he sells the property to another person. What Do You Mean by Intellectual Property Rights? An intellectual property is the brainchild of an artist which he might have developed using his exceptional skills and talent. There are certain rights which guard this property and the interest of the artist. These rights allow the person to use the property solely as he likes and is known as an intellectual property right. However, if the artist decides to sell this property to another company or person, these rights are automatically transferred to the buyer and safeguard his interest in the future. 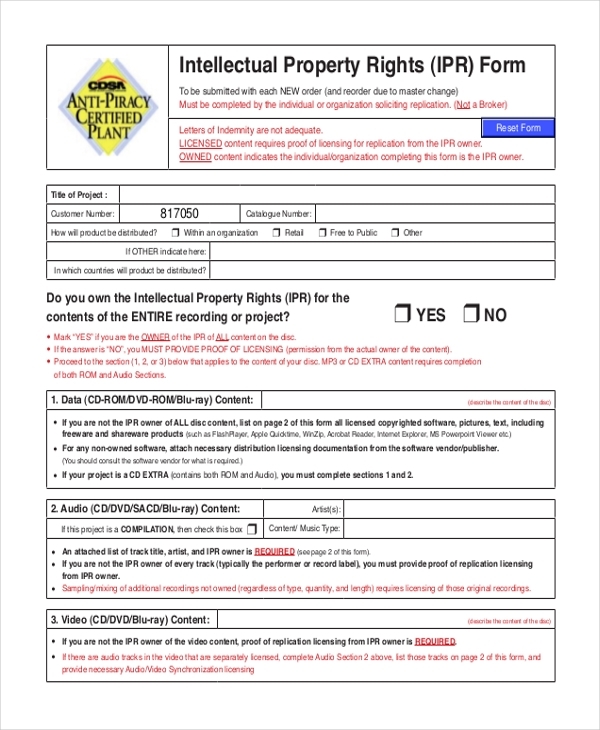 In case you are not sure how to design an intellectual property form, just take a look at the vast collection of these forms that we offer. With a wide range of these forms available, you are sure to find the one that would be perfect for you. Easy to download and customize, these forms are print ready and save a lot of your time.